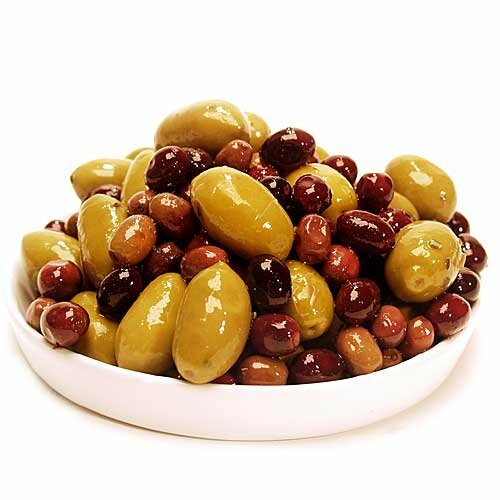 The Choosy Epicurean: The Choosy Epicurean - Olive del Diavolo 1 lb. Thank you for dropping by, I'm delighted to share these wonderful gourmet finds. Along with some delightful wines, coffee, teas and more. If you have a favorite, let me know and I'll feature it or if you would like me to feature your product on The Choosy Epicurean please contact me. Thanks and enjoy! You may also purchase many of the gourmet items that I feature here at the new Choosy Epicurean Gourmet Amazon Store. The Choosy Epicurean - Olive del Diavolo 1 lb. "Our Michelin-star Executive Chef Gianluca Guglielmi created our collection of fresh olive blends inspired by regional antipasti dishes enjoyed throughout Italy. To capture and preserve harvest fresh flavors, he exclusively uses Italian olive varietals, fresh herbs, Italian extra virgin olive oil, balsamic and wine vinegars. Our blends do not contain any additives or preservatives"